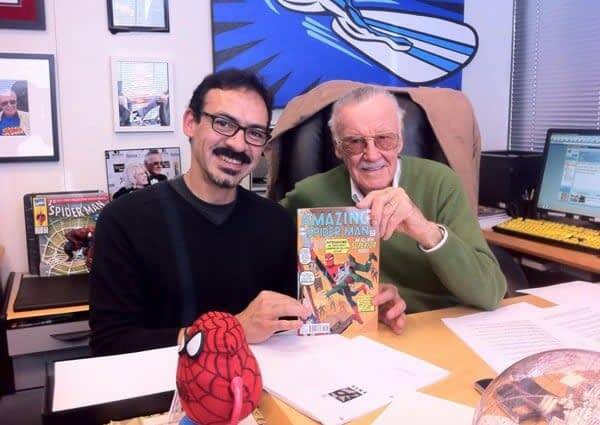 In recent days, Bleeding Cool has run a number of statements from comic book industry figures concerned with Stan Lee‘s current situation, sick at home, seemingly cut off from friends and colleagues by those around him, with familiar faces going back decades fired and excluded, such as his manager Max Anderson, his lawyer Tom Lallas, his nursing assistant Linda Sanchez, housekeeper Alicia and gardner Alfonso. We have run statements from Neal Adams, J Scott Campbell, Peter David, and Jason David Frank, but more have been adding to the chorus. 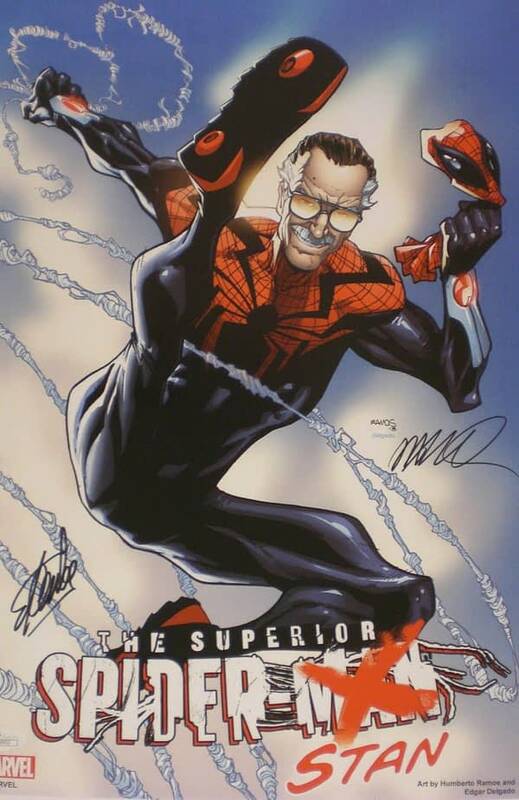 These include the current creators of the Marvel comic book series The Champions, and veterans of the comic industry, Mark Waid and Humberto Ramos. First, I know to my core that my friend Max is a good guy who would never mistreat Stan. Second, if you’re watching all this and don’t believe Max is being set up and is deliberately and forcibly being carved out of Stan’s life, I would ask you to consider that there is absolutely no way that an overseas rag like the Daily Mail would have photographers on the front steps of an alleged “crime scene” hours and hours before any other news outlet in all of Los Angeles unless they were tipped off in advance. As others have attested, Max cares for Stan just as deeply as a son cares for his father. I have absolutely no doubt in my mind that someone, alone or in concert–perhaps someone connected to the $300K nearly embezzled from Stan back in December in the form of a check written by one of only a few who have access to Stan’s bank account? 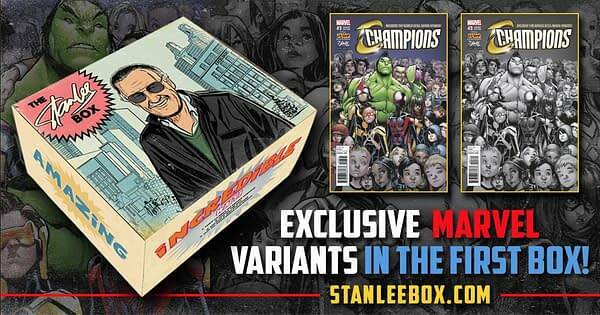 Who can say?–is framing Max for misdeeds and is isolating Stan and shutting out his other friends and loved ones as Stan’s years grow short and his health continues to flag. This is abominable; this sort of stress and drama can only accelerate Stan’s decline. I can’t legally tell you who I’m almost certain wants Stan isolated and unable to reach out, but follow-the-money motives aren’t at all hard to guess, are they? In the past weeks I’m saddened to read and watch media reports that have shocked me deeply. 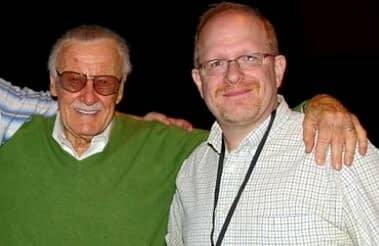 The headlines said things about a man being escorted out from Stan Lee’s house, my immediate thought was… “Max will make sure everything’s under control, he always takes good care of Stan.” Then to my shock was even bigger after reading I learned it was actually Max the man who was escorted out of the premises. Suddenly stories about elder abuse pop-up and those stories really are confusing to say the least, because that’s not the picture that comes to my mind when I think of Max and Stan together. I’ve been lucky to collaborate in many opportunities throughout comic book conventions since 2012 with Max and Stan, where I’ve witnessed in every single occasion the love, the care and the respect Max always shows to Stan and the return of Mr Lee, he always felt secureness and the trust from someone who knows that matters most from a person that will have your back. Stan Lee works very hard at every show he goes to, without a doubt he does it because he loves doing it and he loves the fans as they feed his spirit, no matter how corny it sounds is an honest truth but then behind the curtain where nobody sees him, when he’s tired and wants to rest, … there is Max every time right next to him taking care of his every single need, and believe me always with a smile on both their faces. I had the chance to share a table with them, talking, joking and laughing and enjoying those moments. I don’t know if I’m a bad judge of character, but the one thing you can feel when they are together is they have genuine love and admiration for one another. Recently I’ve had the opportunity to be involved as a partner of a comic book convention myself, and was fortunate enough to have Stan and Max as guests of the show. When you are on the other side of the table and behind the scenes of a convention, that’s when you can see how hard and focused Max can be to take care of Stan’s every requirements and necessities. Many people can say Max is a tough cookie to negotiate with, and yes when it comes to Stan’s nobody is tougher than Max, whether you like it or not he will get the best for Stan. I am witness to that first hand. Bleeding Cool has run a number of these statements and will likely run more, but it should also be addressed that a number of people have personal and business issues with Max Anderson as well as objections to his criminal history. I believe there are questions that both sides need to answer in this regard. But for now, Stan’s health and comfort are the most pressing of concerns. I also understand from sources close to the current situation that infighting among those currently with Stan Lee may bring this situation to a head sooner rather than later. I also understand that law enforcement officials are being consulted over the current situation.